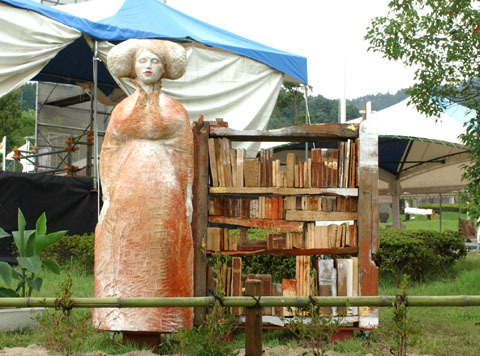 This sculpture is the combination of a statue of a woman and a wooden bookshelf. This statue is a woman who keeps her memories in her mind. She's from nowhere. The books and the bookshelf are filled with memories since I've come here.